Ludhiana: Ravinder Jit Singh Gogi, a US citizen, who was put under (so-called) preventive detention by the Punjab police since February 26, was yesterday released from Ludhiana jail. He was released after the police dropped all charges against him. A Facebook status on Bapu Surat Singh Khalsa’s page reads: “Breaking: Bhai Ravinderjeet Singh Gogi (Bapu Surat Singh’s son) who was being unjustly detained in Ludhiana jail has been released and charges dropped with the help of U.S. government and sangat”. It is notable that Ravinder Jit Singh Gogi’s father had started indefinite hunger strike on January 16, seeking premature release of Sikh Political Prisoners who have served minimum mandatory terms of their life sentences. Bapu Surat Singh was put on forced-feeding on Feb. 26 and Ravinder Jit Singh Gogi was put under preventive detention. He was lodged at Central Jail, Ludhaina. It is notable that a Sikh delegation had met President of India few days back after which Bapu Surat Singh Khalsa was released by the police and he was allowed to take discharge from the hospital. Yesterday, on April 27, the police dropped all charges against Ravinder Jit Singh Gogi and he was released from Central Jail, Ludhaina. 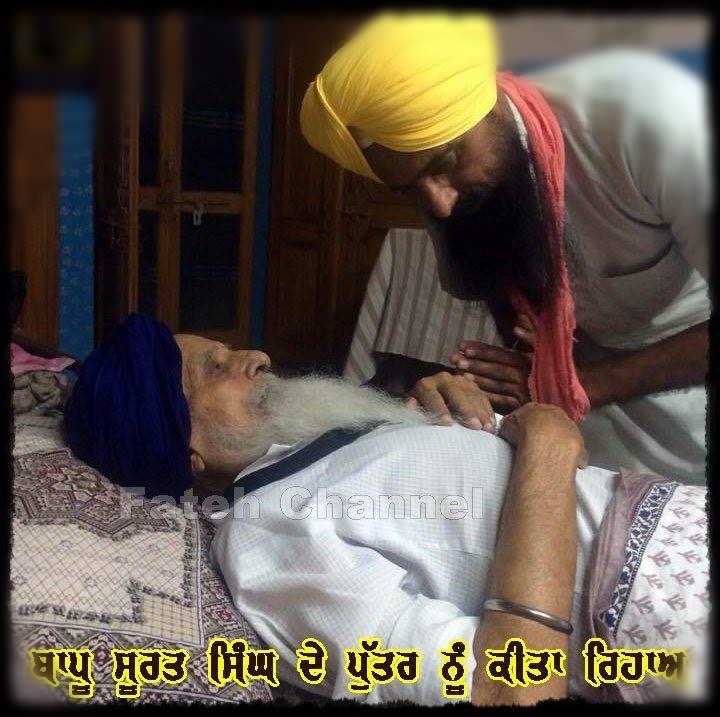 Meanwhile, there are reports that Bapu Surat Singh Khalsa’s hunger-strike continues. Representatives of various Sikh organisations met Bapu Surat Singh two days back to know his well-being and decide future course of struggle. Sikh organisations have reportedly resolved to intensify the struggle for the cause of Sikh political prisoners.